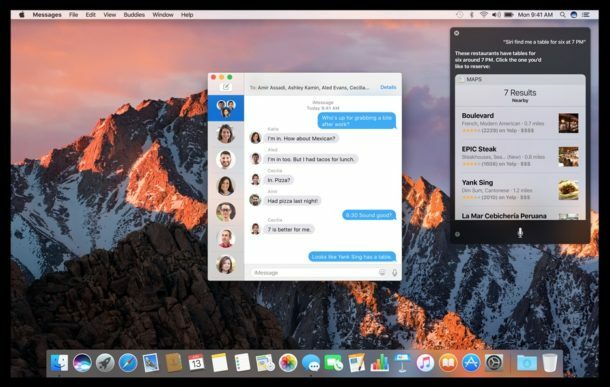 Users enrolled in either the developer beta or public beta programs can download macOS Sierra 10.12.1 beta 2 right now via the Software Update mechanism of the App Store, or through the developer center website. As always, it’s a good idea to backup a Mac before installing any beta software update. No new features are expected in macOS 10.12.1. Instead, macOS 10.12.1 is assumed to primarily focus on bug fixes to the initial 10.12 release, though it remains to be seen which (if any) of the reported problems with macOS Sierra are addressed in the beta update. Apple typically goes through several beta builds before releasing a final version of system software to the public, suggesting the final release of macOS 10.12.1 is at least a month away. Considering that Sierra was just released, is it really necessary to keep track or to even write whole posts on a beta release? Sierra has no significant changes besides Siri which only works with mic input and not with text. Many users like to track the progress of beta releases since it gives an estimation on when a final version will become available. Sure has a lot of bugs that Apple could have got rid of over the summer and apps that should have been left alone that don’t work like they did previously. Here the Beta icon is the Mountain Lion. Back to the future? Most real world issues arise from several different configurations with several different mixtures of applications, Apple relies on its user base to allow diagnostic data to be sent to them, along with testers that report bugs. I myself am one of them, I have reported 23 bugs for Sierra and 2 issues that affected the kernel. People need to realize the amount of engineers and developers that it takes into updating an operating system. The way that Apple has taken MacOS is that of iOS be being able to streamline code across both platforms that’s why you’ll see security issues that might affect iOS also affects MacOS, same goes for the function of applications on MacOS are now starting to resemble the iOS variants, of course to just a minimal extent, code wise extremely similar. Fortunately for me I’m happy that Apple takes its customers privacy and security seriously. Along with having operating systems based on a secure platform that is *BSD/Darwin. Thanks HBX! I assumed I was the only one having issues with the kernel (Which only started after installing Sierra)! My Mac seems to crash every 20 minutes while writing papers for school, and I thought I had a virus or something. I am incessantly sending it in to Apple! I can’t drag or drop or even copy files!!!!! How can I even use my Mac for anything if I can’t move any files anywhere??? Somebody, please help me fix this problem!!! macOS Sierra has become obsessed with security. If it’s not an Apple made application then i have to beg Apple’s gatekeeper to allow installation. What nonsense. It’s my computer bought and paid with my money. If i want to install an non apple application that is my business. On the other hand, that’s the price i have to pay now for getting a ” FREE ” macOS. but what if you messed up your installation with non-reviewed, obscure software. Should apple or yourself clean up the mess? Instead of deleting each Email ONE by ONE is there a DELETE BUTTEN That I can PRESS ? ?